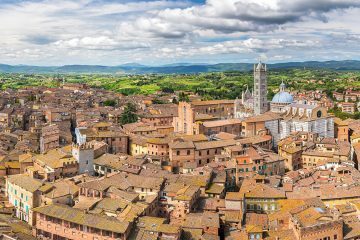 Once arrived in Siena, after riding through the beautiful Tuscany hills, to arrive in San Giminiano, a beautiful medieval town . 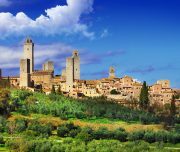 After San Gimignano, we will drive through the beautiful Tuscany hills you will visit the most beautiful places of Siena. 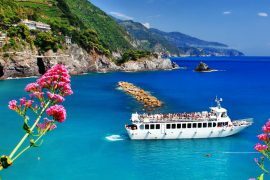 Our driver will pick-up you from our meeting point at the Train Station of Viareggio (easily to reach also from Marina di Pietrasanta, Lido di Camaiore, Forte dei Marmi, Seravezza, Stazzema, Camaiore, Montignoso). 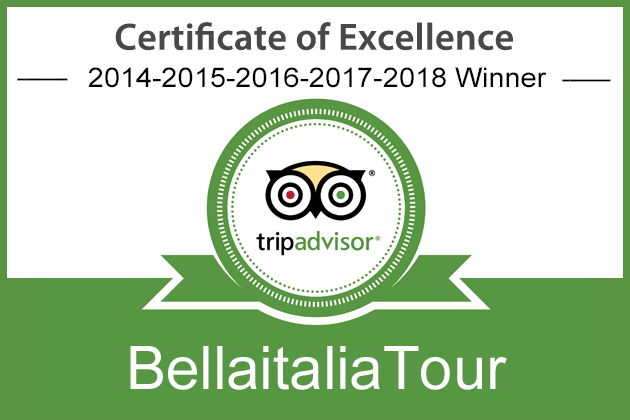 On request, we can pick up you also from your hotel. 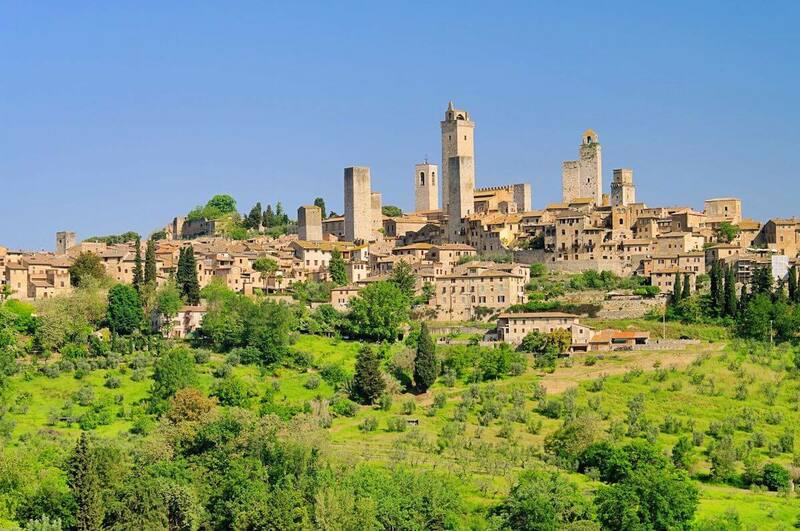 This Tuscan hill-top town, famous all over the world for the skyline of its medieval tower, rich in history and ancient traditions, will surprise you also for the delightful wine and food. 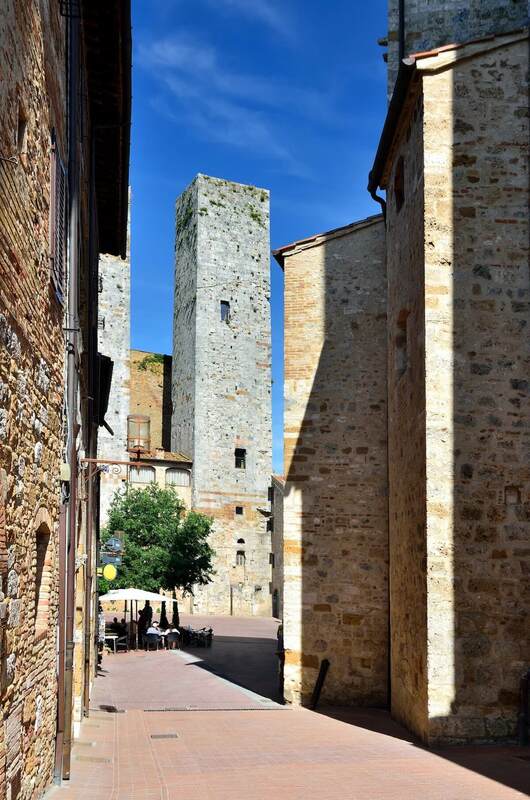 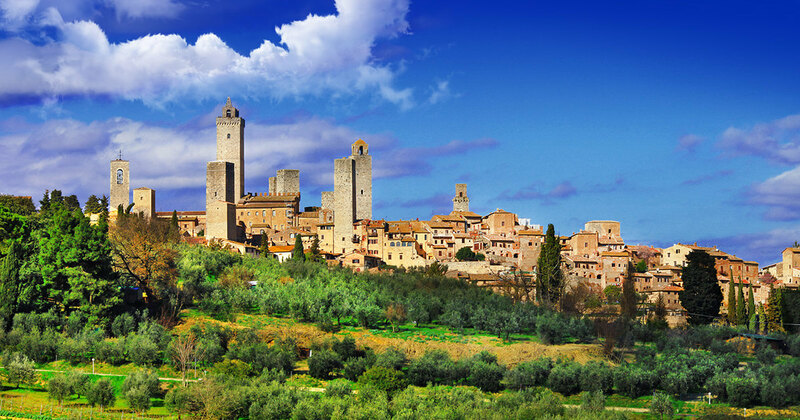 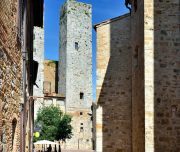 In fact, the town of San Gimignano is sourrounded by vineyards and olive groves. 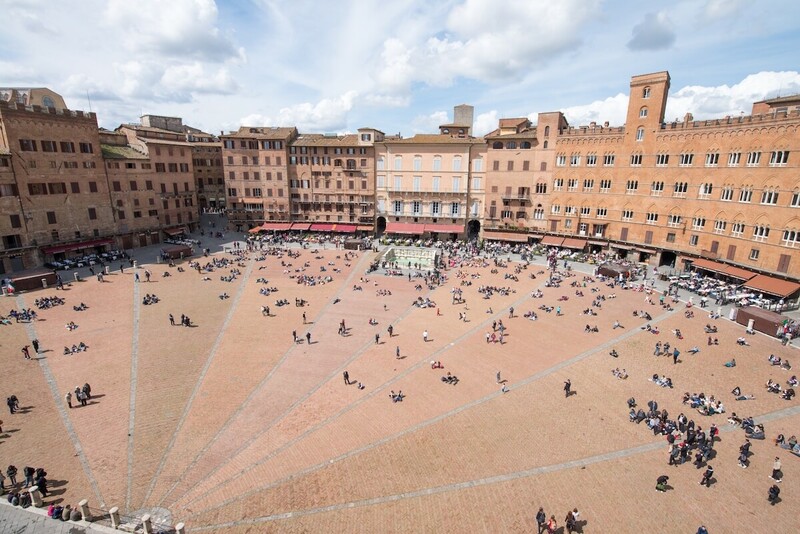 A day in Siena is certainly not enough to experience the city in all of its many sides, nor to visit all of its treasures. 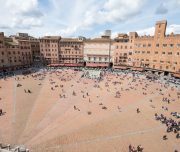 Show the most beautiful places and attractions of the city of Siena, enjoing the original atmosphere . 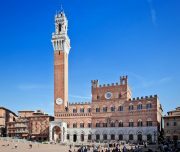 you’ll certainly be able to see the main attractions of Siena and to appreciate the charm and breathless atmosphere of this medieval town. 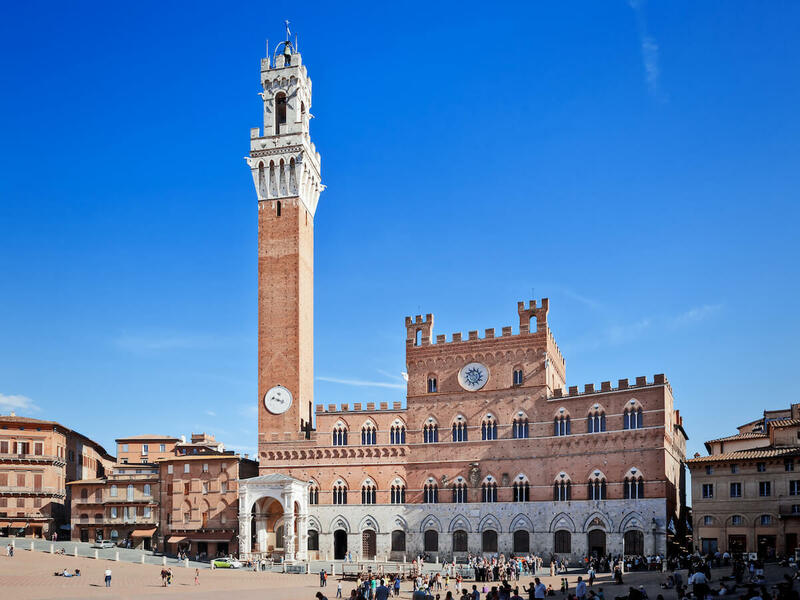 Piazza del Campo: the heart of Siena, overlooked by the monumental Torre del Mangia, a tower fully builded with bricks. 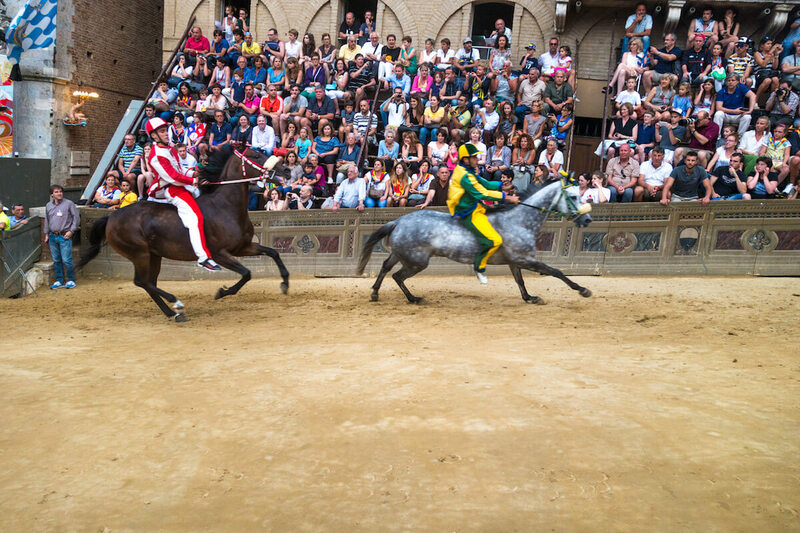 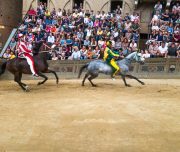 In this square take place the notorius Palio. Duomo of Santa Maria Assunta: situated in Piazza del Duomo, this beautiful cathedral will conqueor you with its particular deoration (both inside and outside is decorated with white and dark green,almost black, marble) and with various masterpieces signed by famous artists the likes of Donatello, Nicola Pisano, Michelangelo and Pinturicchio. 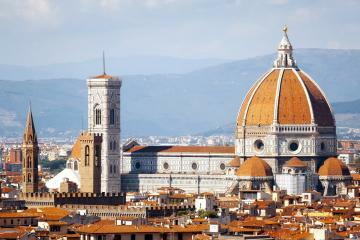 Here you will also visit the Crypt. 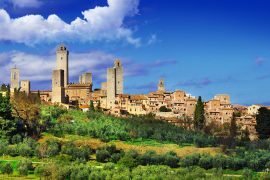 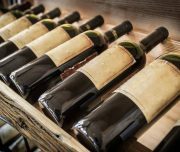 Chianti: Taste The Italy! 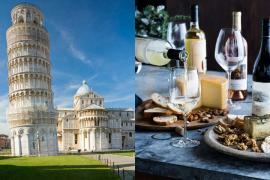 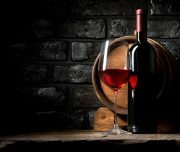 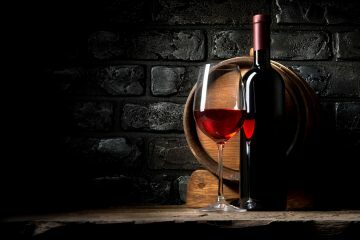 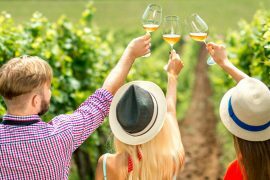 Taste Real Tuscany Wines! 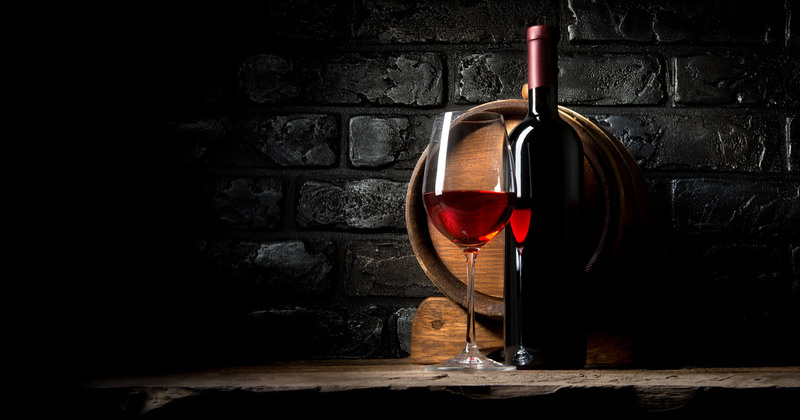 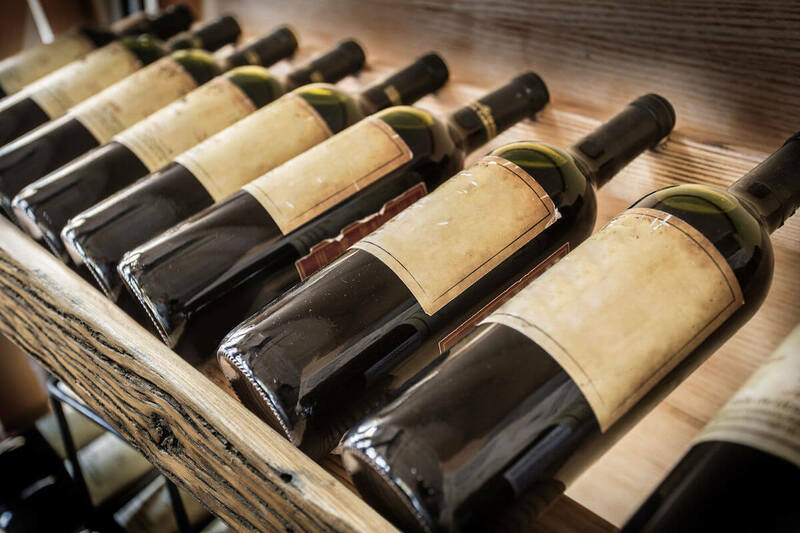 You can taste the Original Tuscan Chianti and many other Italian Good Wines.